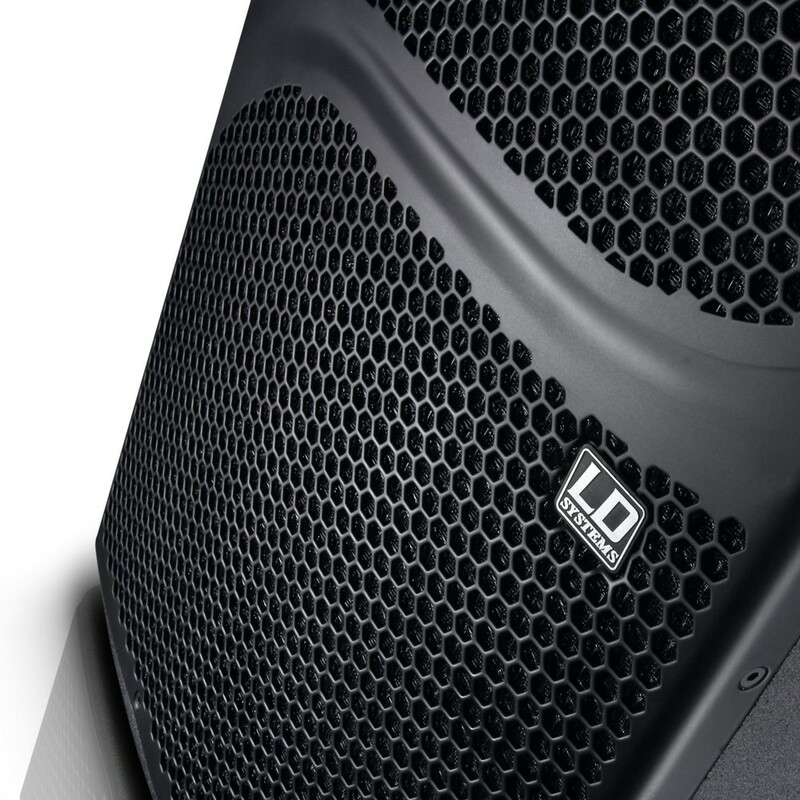 Quality 1 millisecond ahead … the LD Systems DDQ 10 powered speaker. 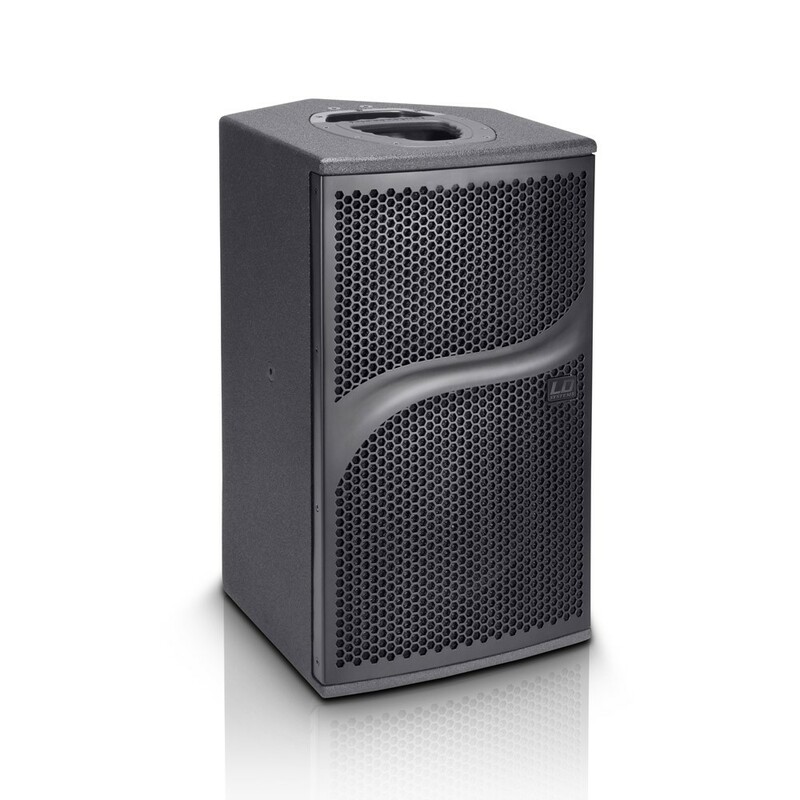 The LD Systems DDQ 10 is an extremely high-performance 2-way powered speaker for compact systems, FOH and monitor applications, delay lines, and permanent installations. The groundbreaking design and comprehensive features with components made by leading manufacturers ensure superior performance in its class. Trouble-free operation of the DDQ 10 is ensured by a specially programmed Sharc DSP with 24-bit/48-kHz converters that have a remarkable dynamic range of 127dB. 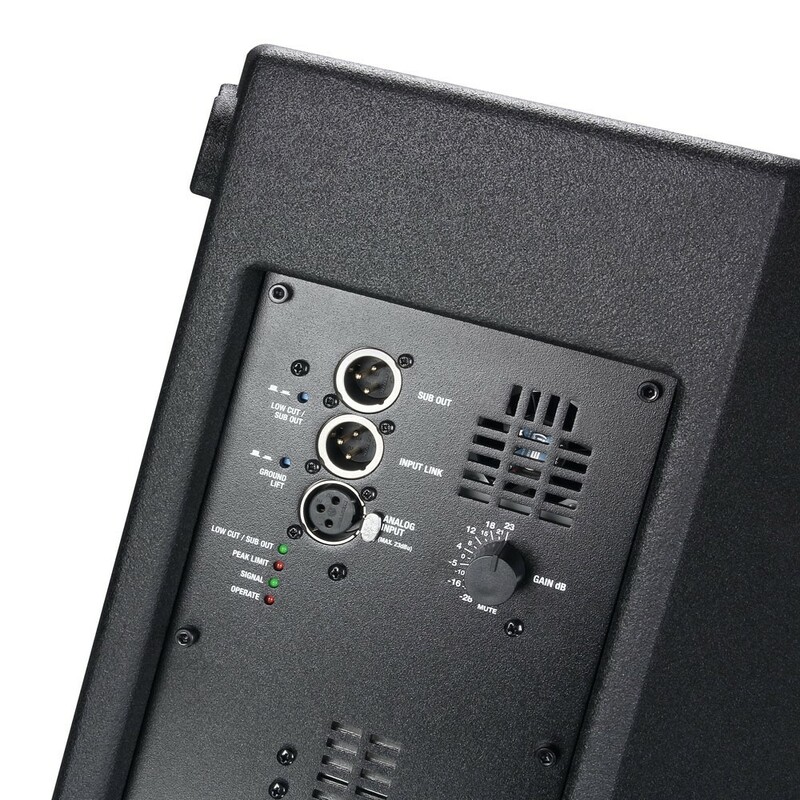 It incorporates volume control, delay, EQ, crossover, phase, and all protection functions for the drivers and power amps. 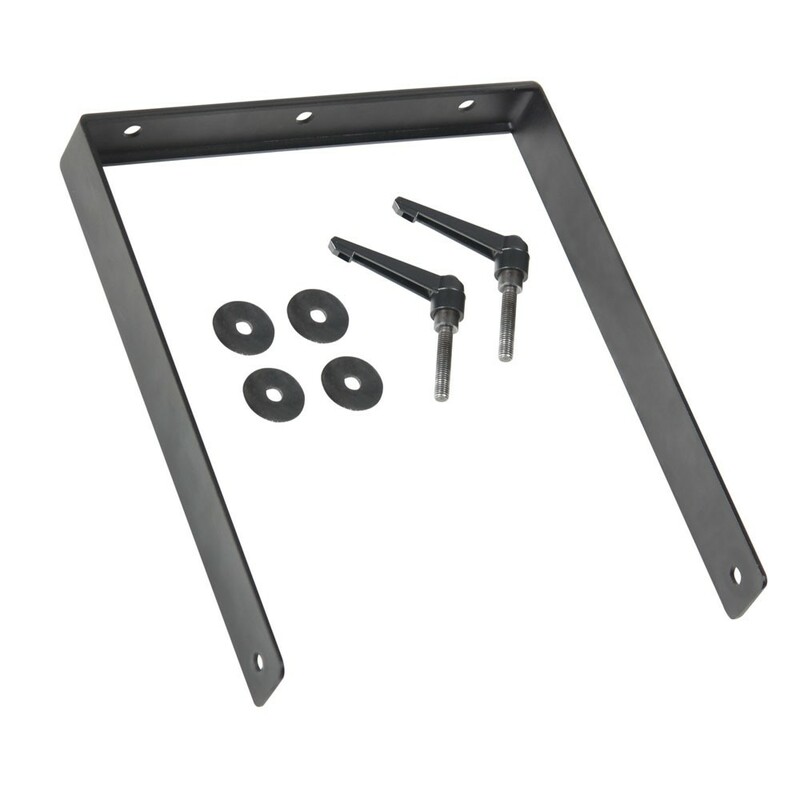 Heat sinks and a silent fan provide additional protection against overheating. The decisive advantage is attained by a predictive peak limiter with a look-ahead time of 1 millisecond. It guarantees absolute freedom from distortion even at maximum volume. The DDQ 10 is loaded with a 10” Faital Pro PR300 neodymium woofer and a BMS tweeter. 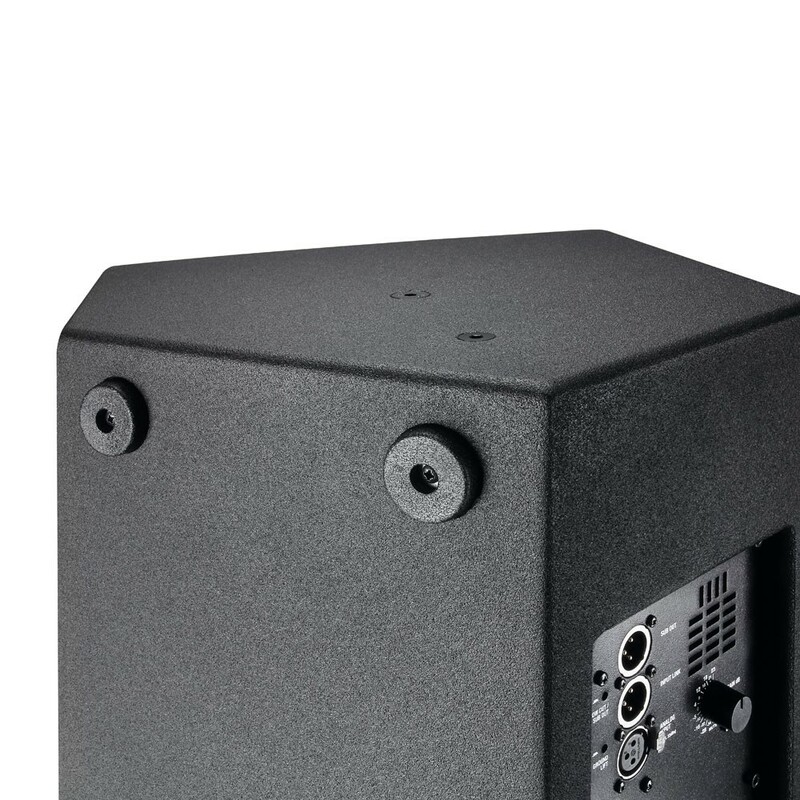 The asymmetrical tweeter horn offers optimal, even sound level distribution from the very first to the very last row of the audience. Its design ensures extraordinarily dynamic, linear reproduction up to 20 kHz. 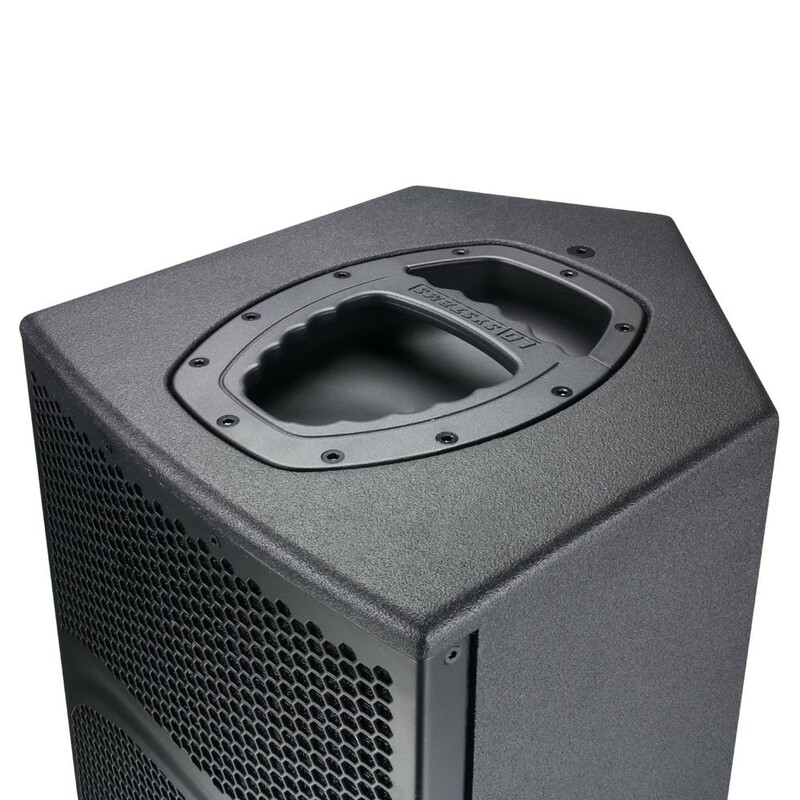 The two drivers are powered separately by two Class D Hypex UCD400 power stage modules with an output of 800W RMS. 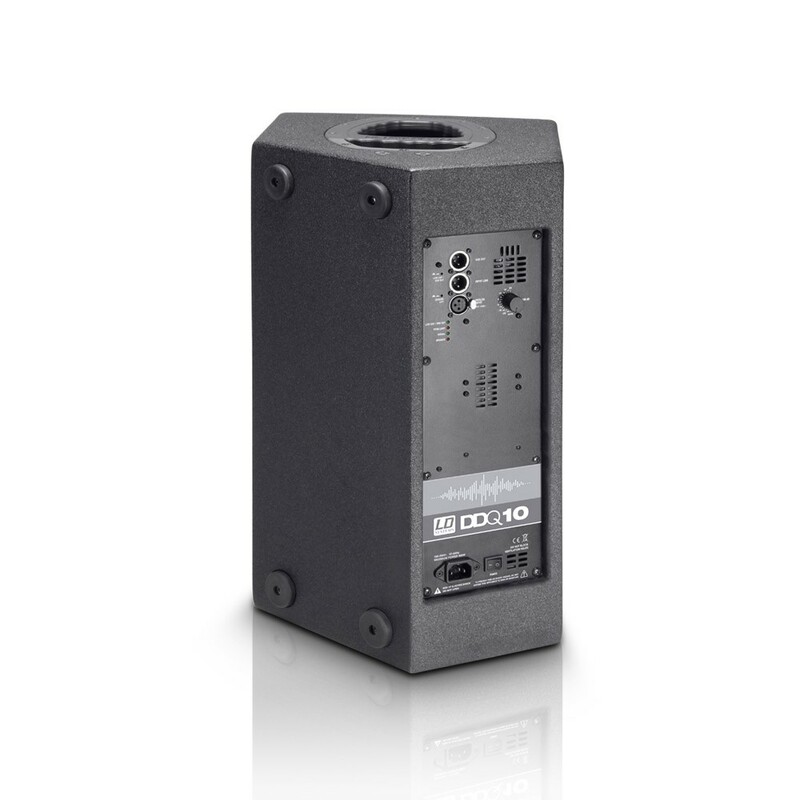 They have a load-controlled, linear frequency response and extremely low total harmonic distortion with extremely low noise and, thanks to their switching power supply, maximum efficiency. 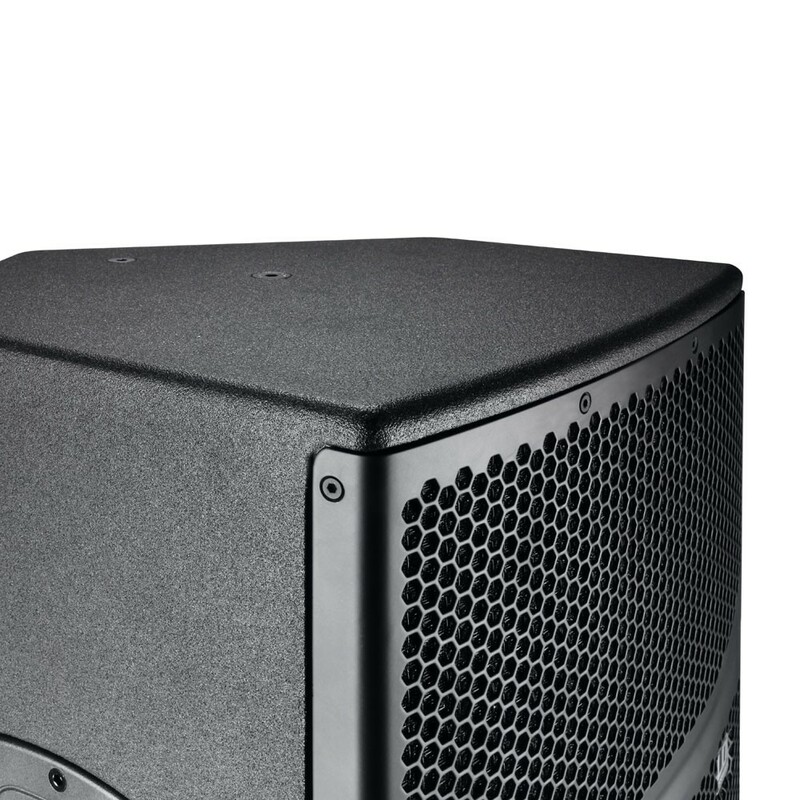 The maximum sound pressure level of the DDQ 10 is 132dB with a dispersion angle of 80° x 60°; the horizontal sound distribution is characterized by extraordinary symmetry. 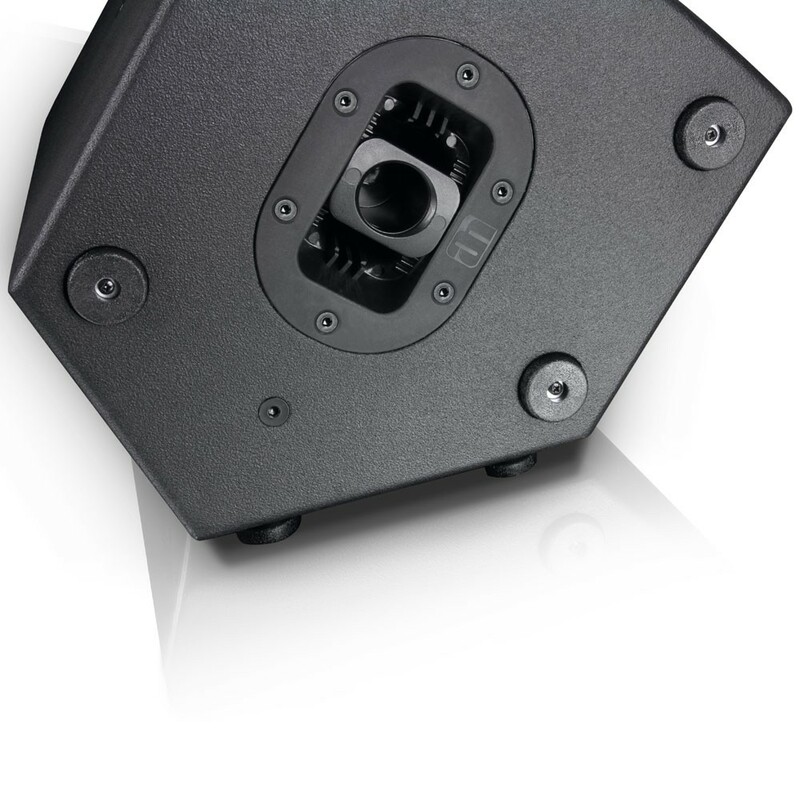 The input, link, and switchable subwoofer output of the DDQ 10 take the form of XLR sockets. A ground lift switch eliminates ground loop hum, and the system functions are indicated by LEDs. The sturdy bass-reflex enclosure is made of 15mm birch plywood with a structured coating and a front grille made of steel. 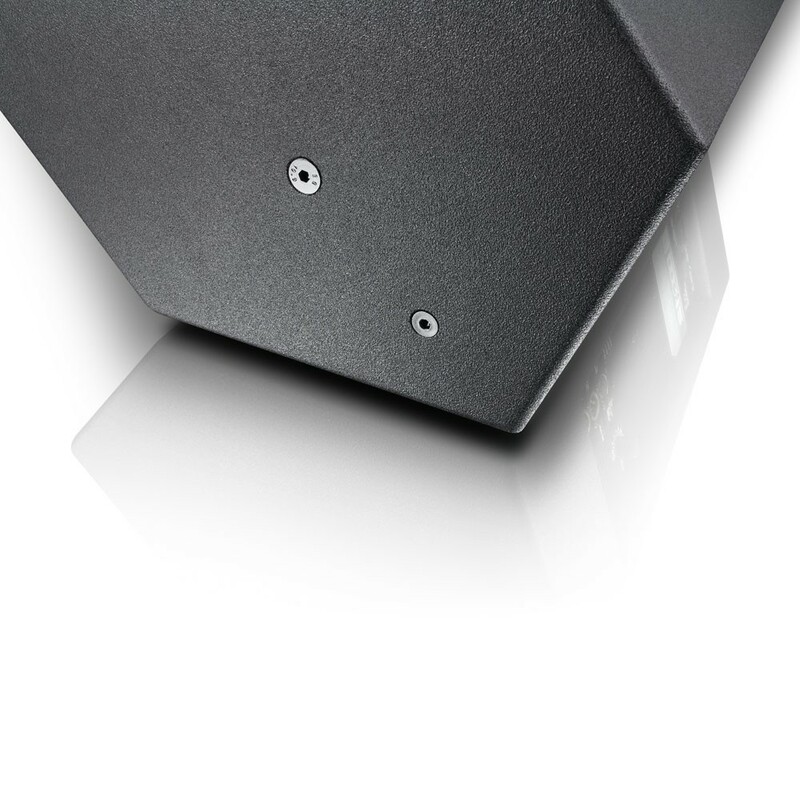 There is an integral 50° angle for use as a floor monitor and the tweeter horn can be turned accordingly. 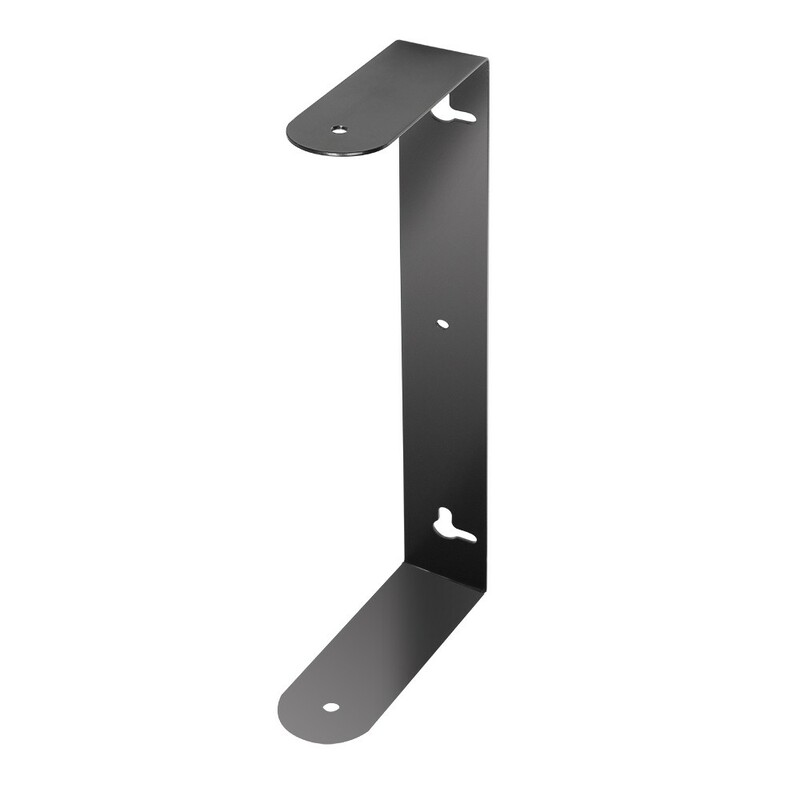 It has an adjustable tilt stand mount. 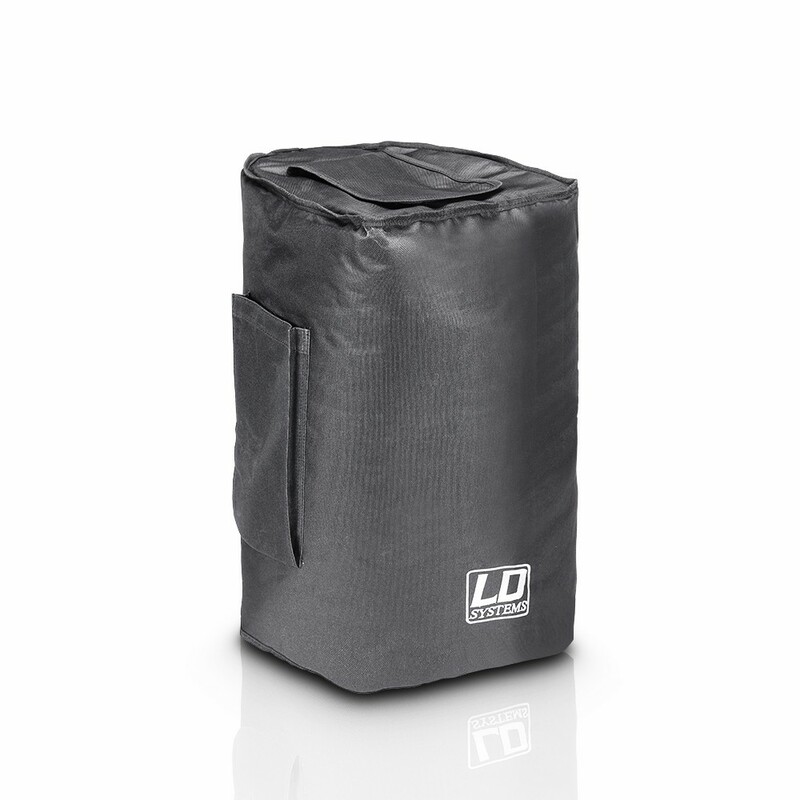 The innovative Evolutive handles and the low weight facilitate transport. 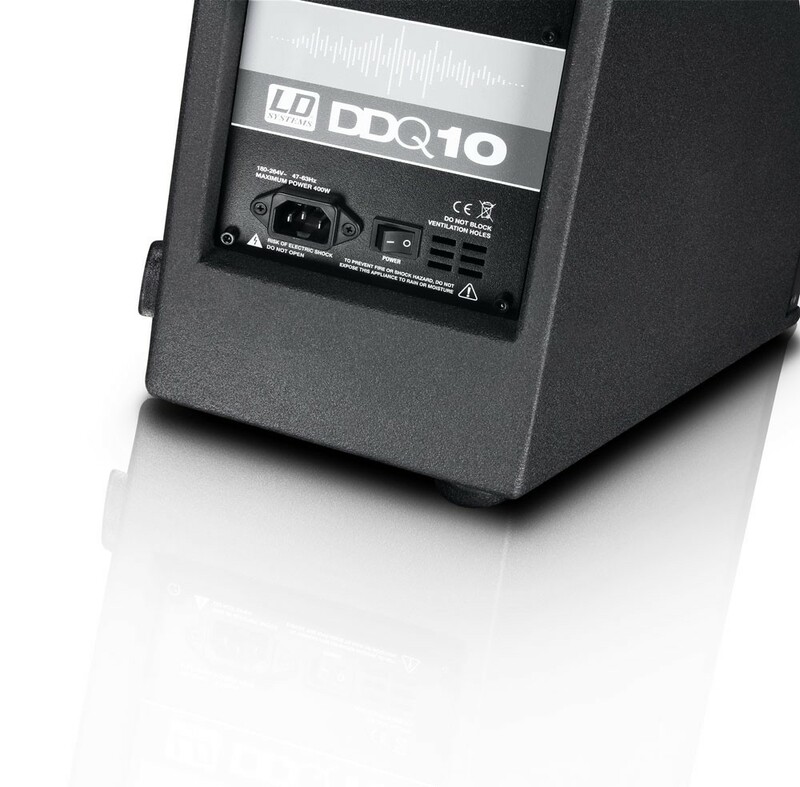 The DDQ 10 active system is made in Germany.